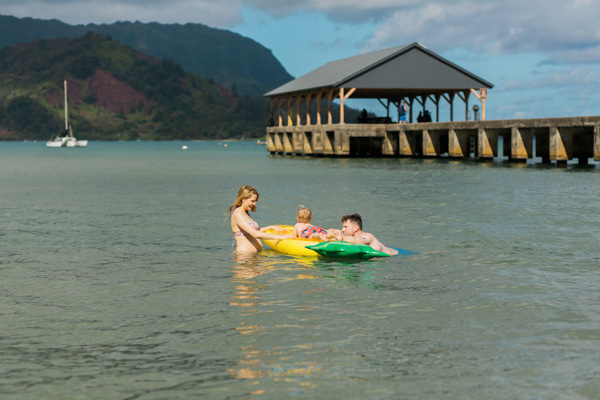 Hanalei Bay is one of my favorite places. 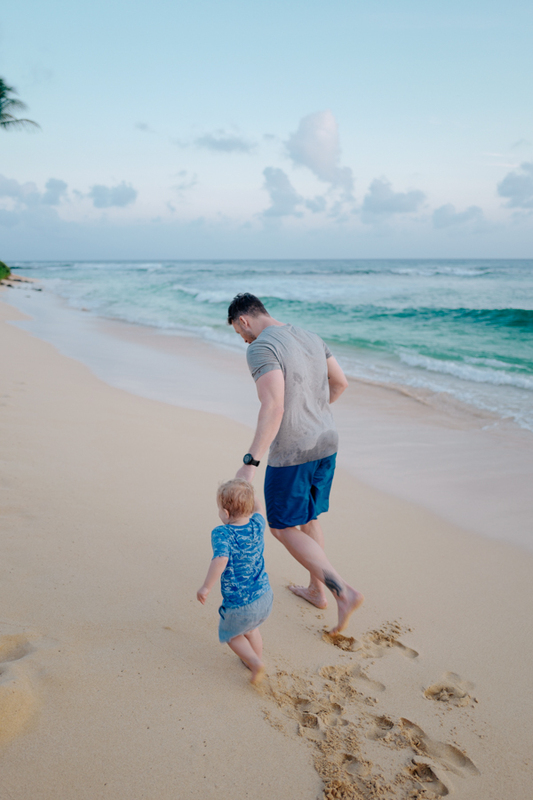 I came here with my family when I was a teenager and have the best memories of searching for shells, swimming in the calm waters, and jumping off the pier with my childhood best friend. 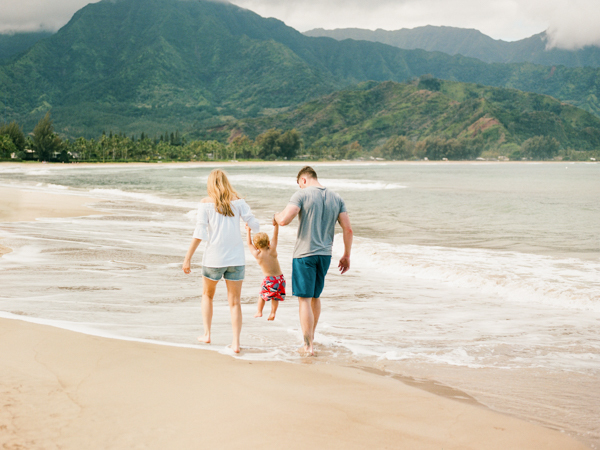 When Nick and I were planning a vacation to Kauai, I knew a visit to Hanalei Bay was a must. 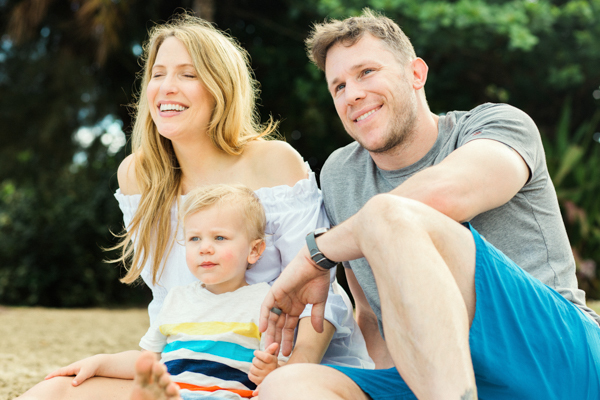 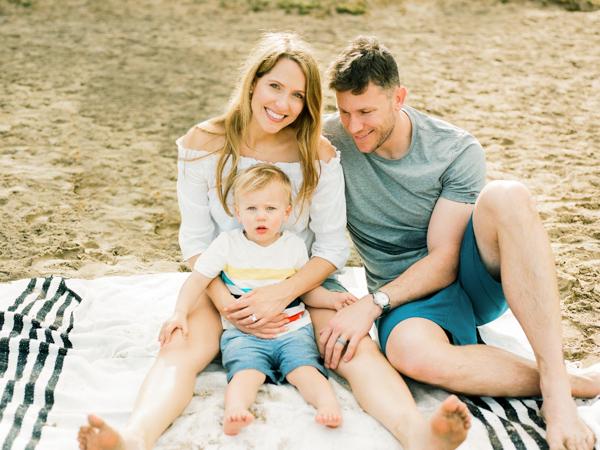 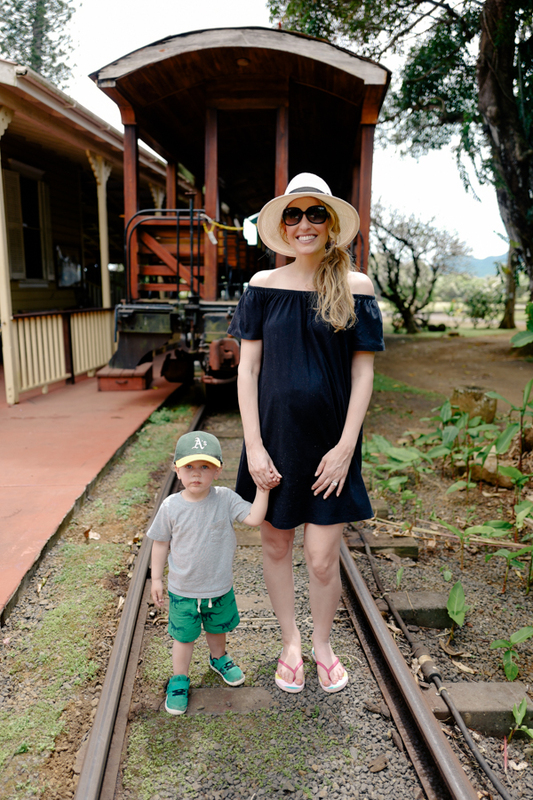 Since this trip came at a special time—Will was one week away from turning two, and I was well into my second trimester with baby number two—I also thought it would be sweet to capture some family photos while we were there. 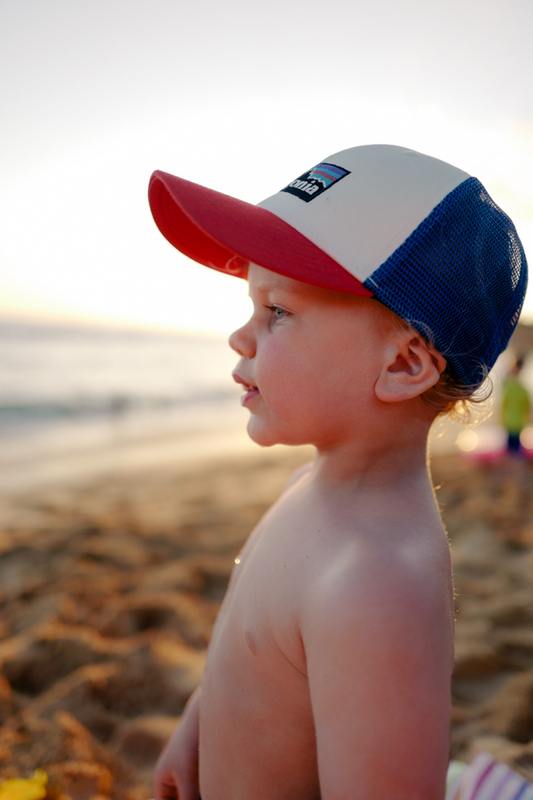 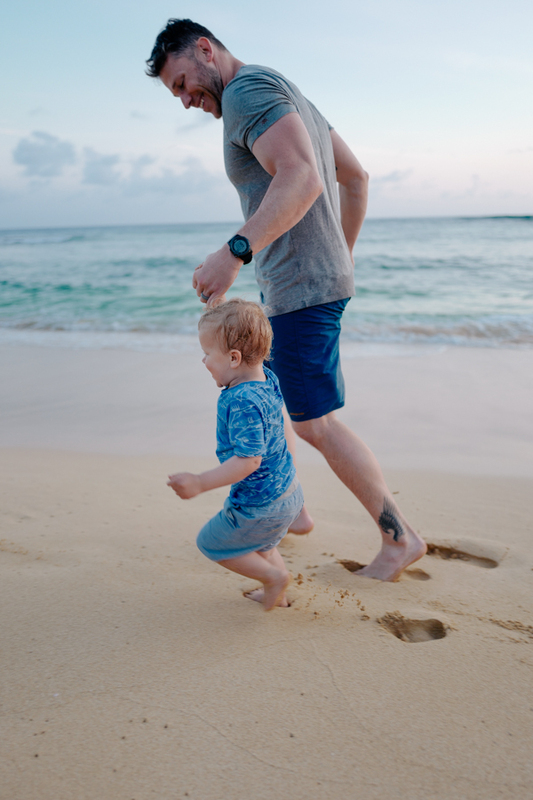 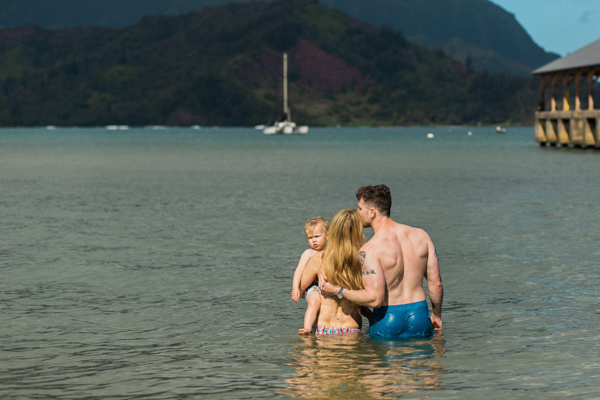 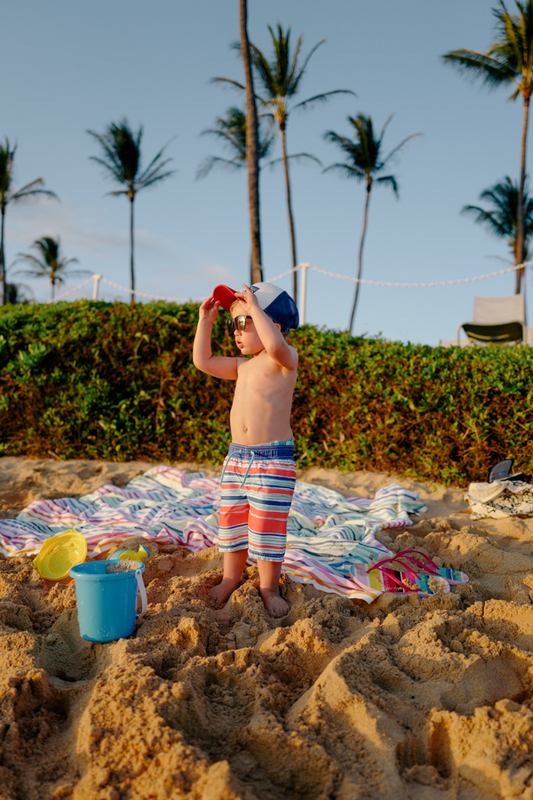 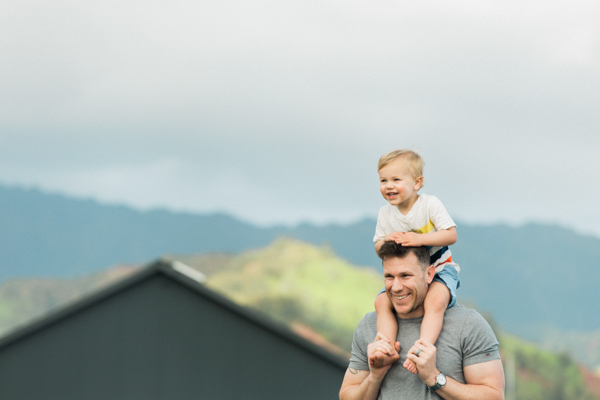 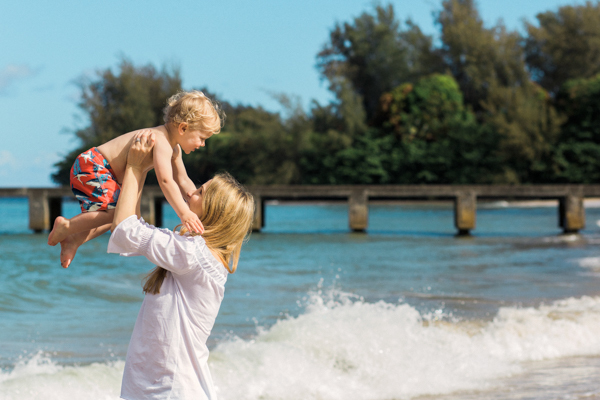 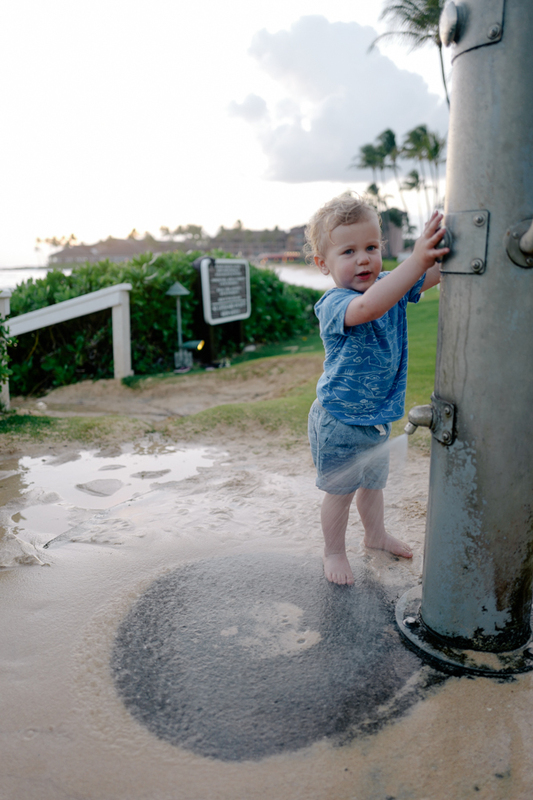 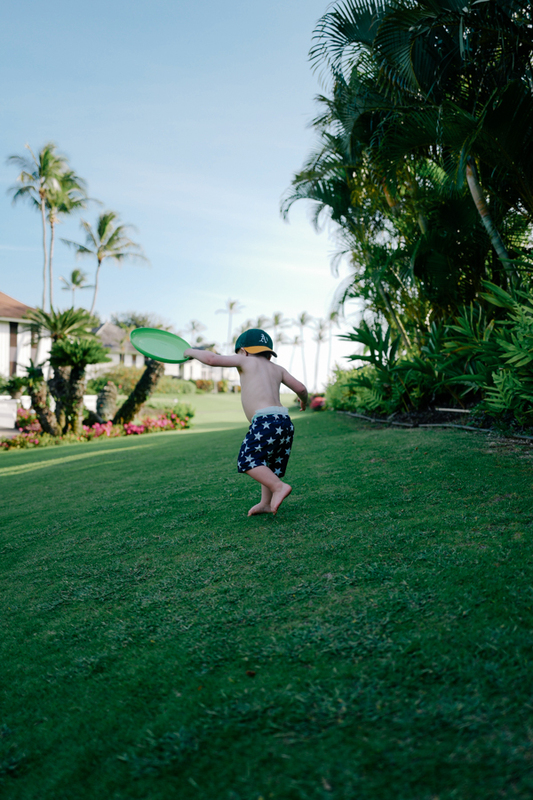 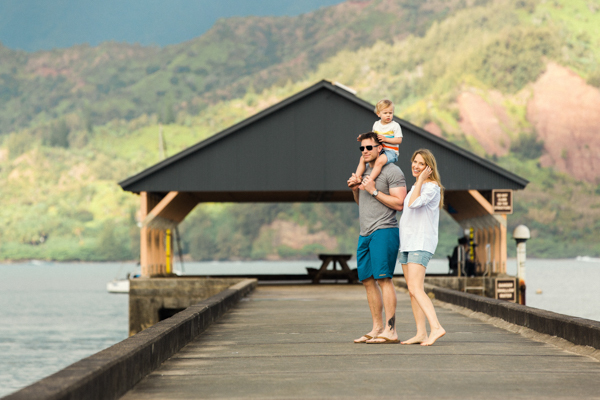 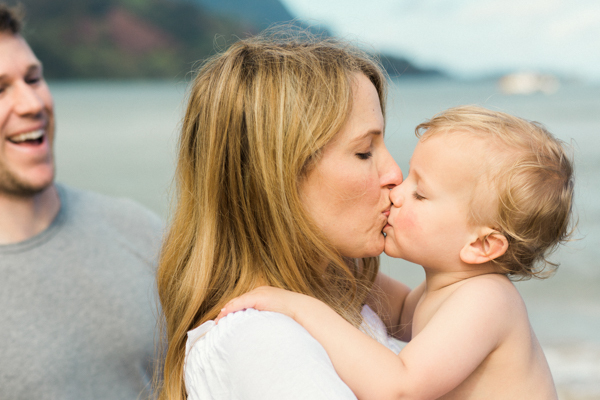 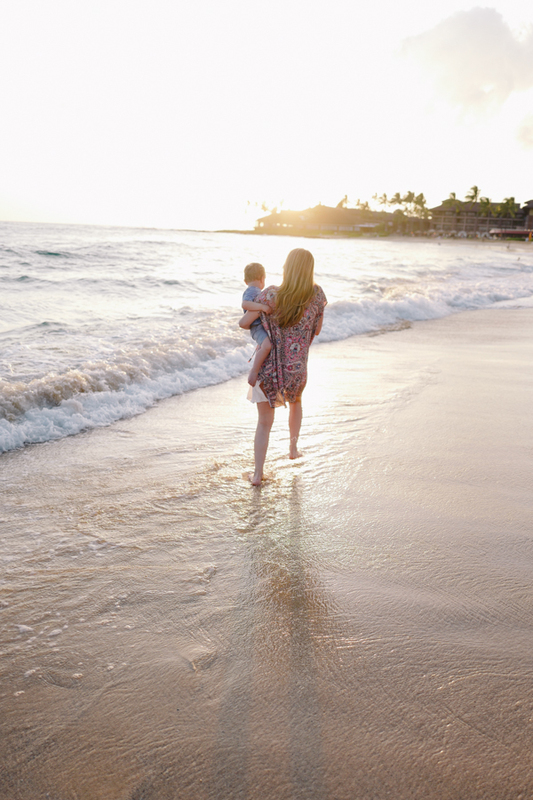 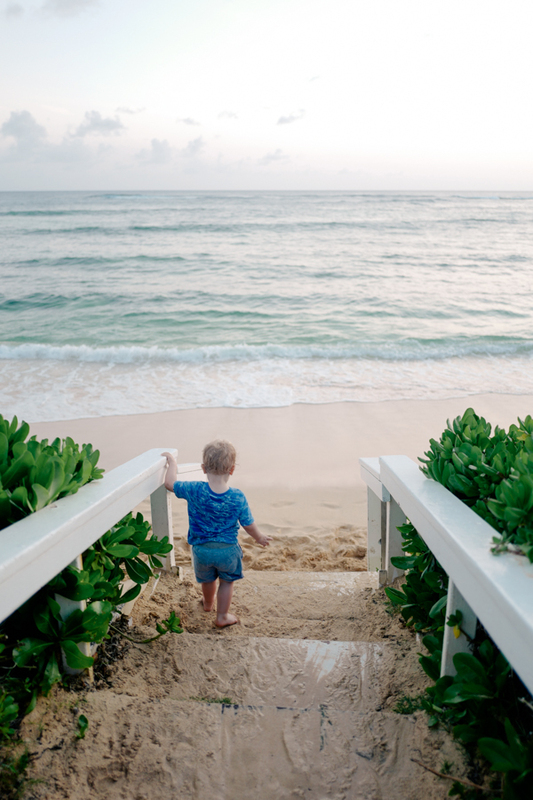 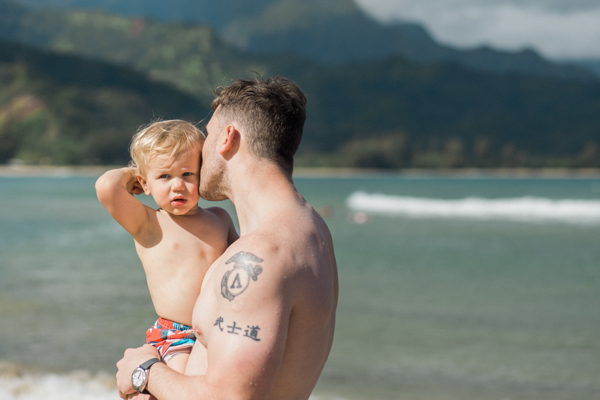 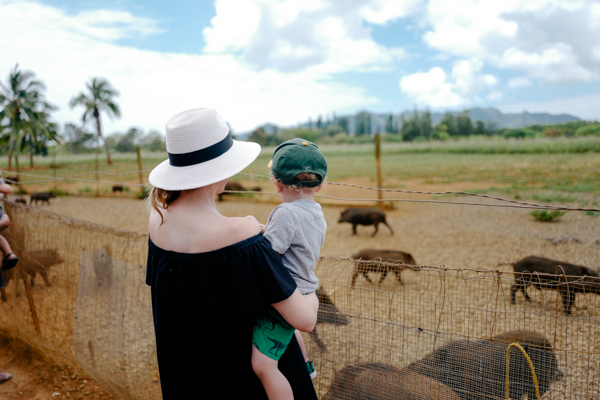 Here are some (okay, a lot) of our favorite pictures from our morning at Hanalei Bay, which began with playing around on the pier, strolling along the sand, and then changing into swimsuits and jumping in the water—plus one really big smooch. 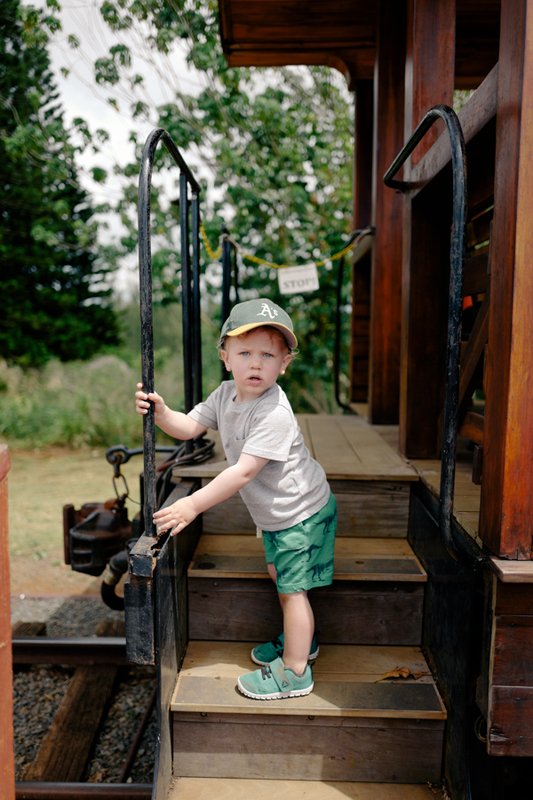 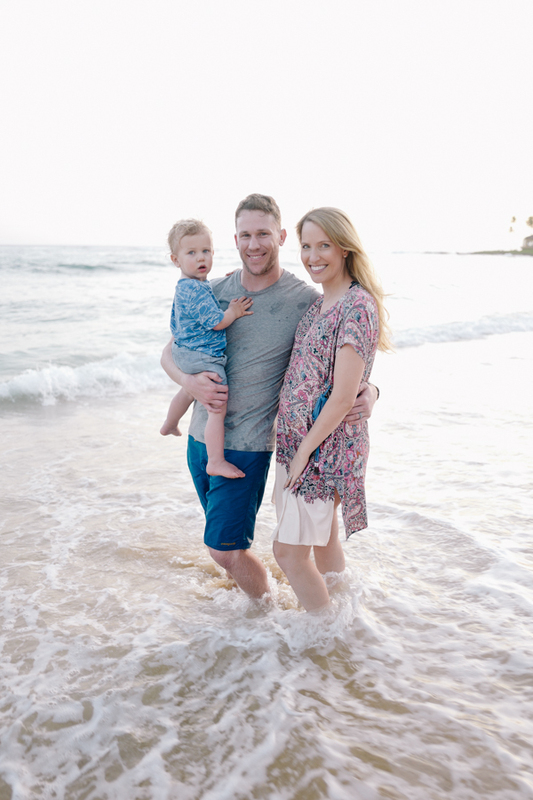 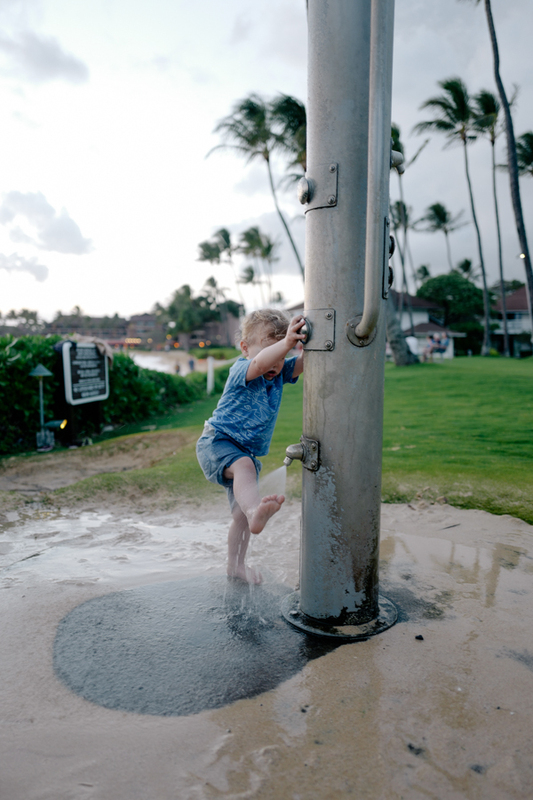 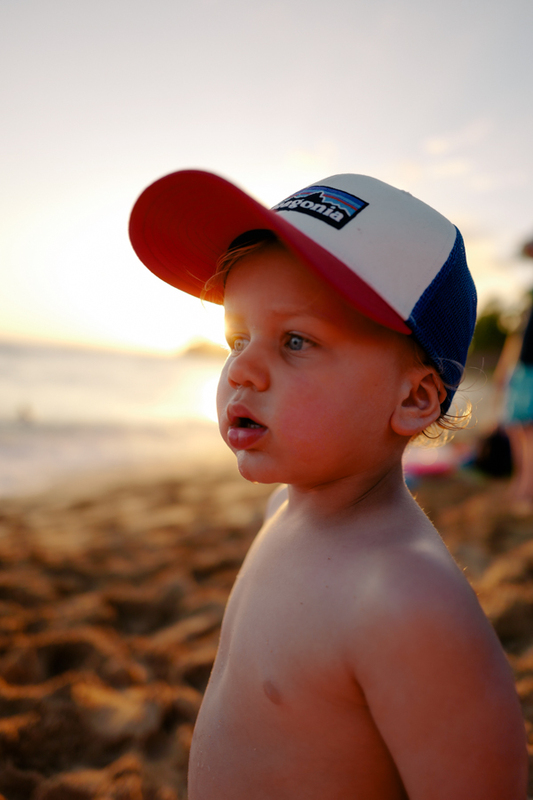 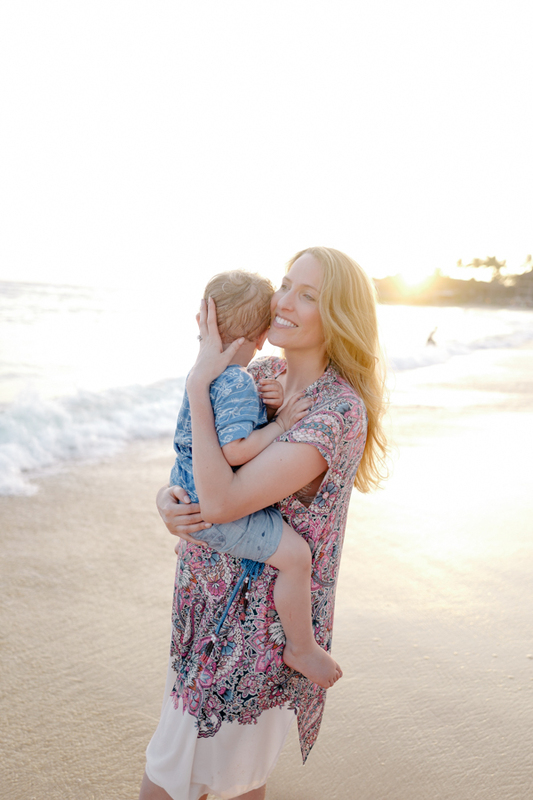 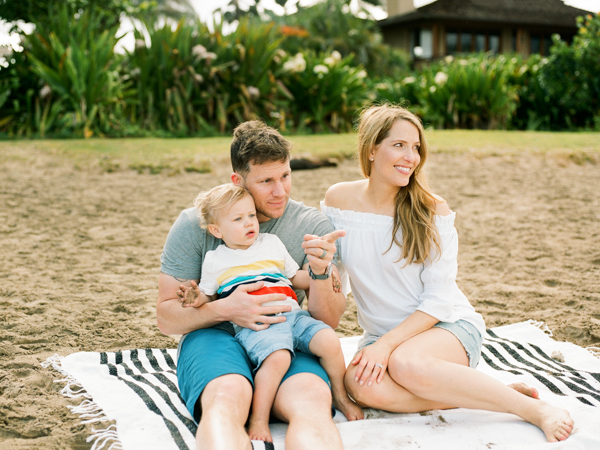 These photos were taken by Kauai photographer Erin Gregerson, who was just lovely to work with. 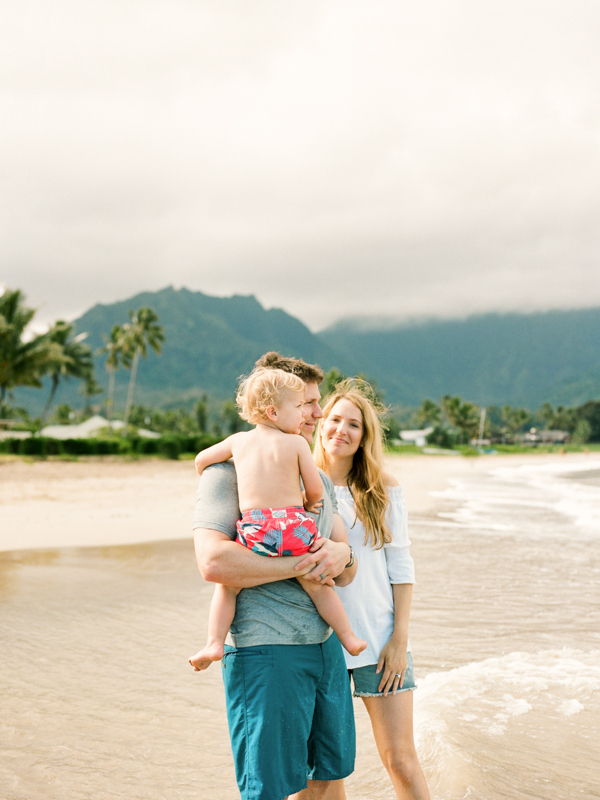 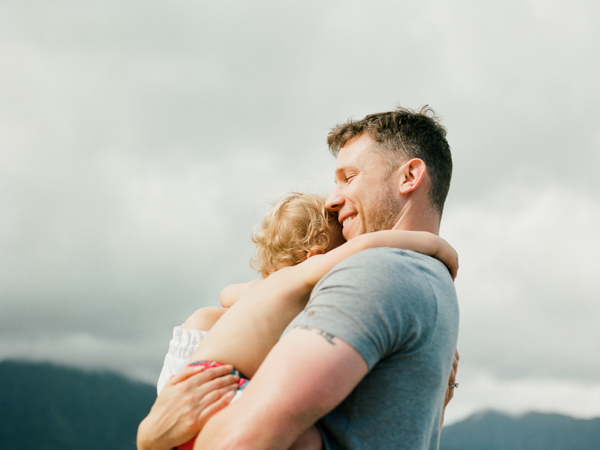 I highly recommend her for family photos if you're into capturing candid moments and find yourself in Kauai! 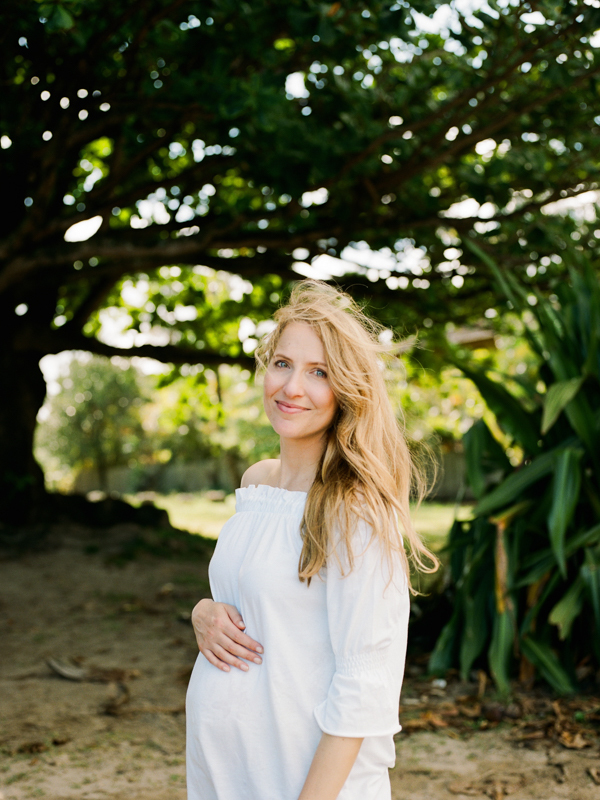 If you're interested, I wore this off-the-shoulder top with distressed denim maternity shorts, plus an off-the-shoulder maternity dress as a coverup. 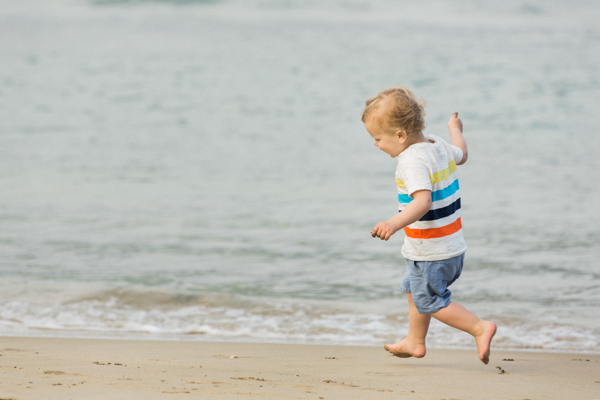 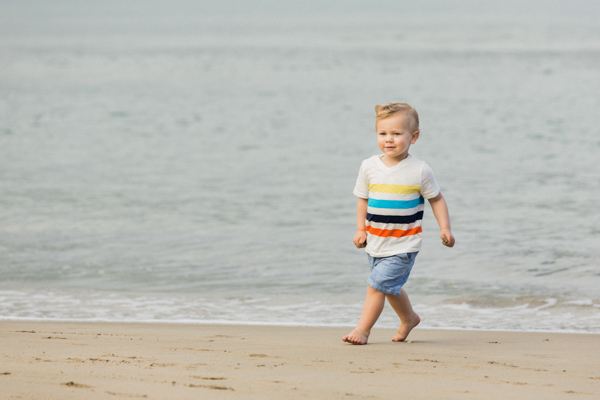 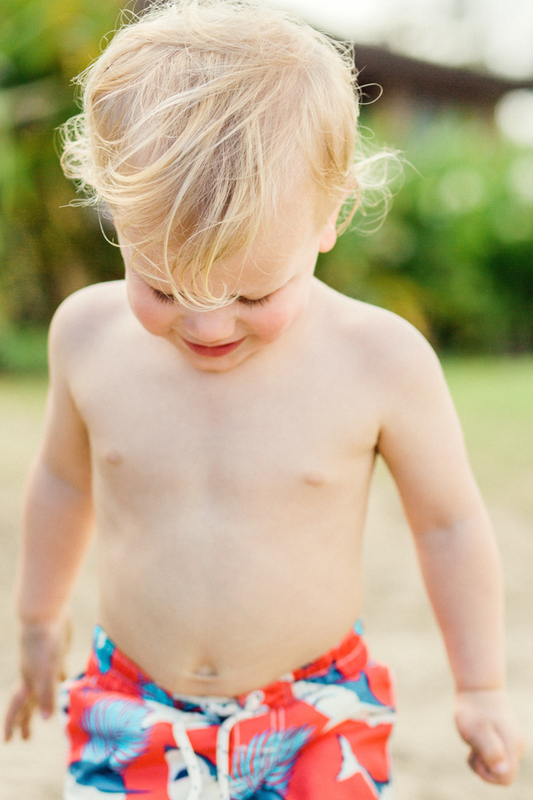 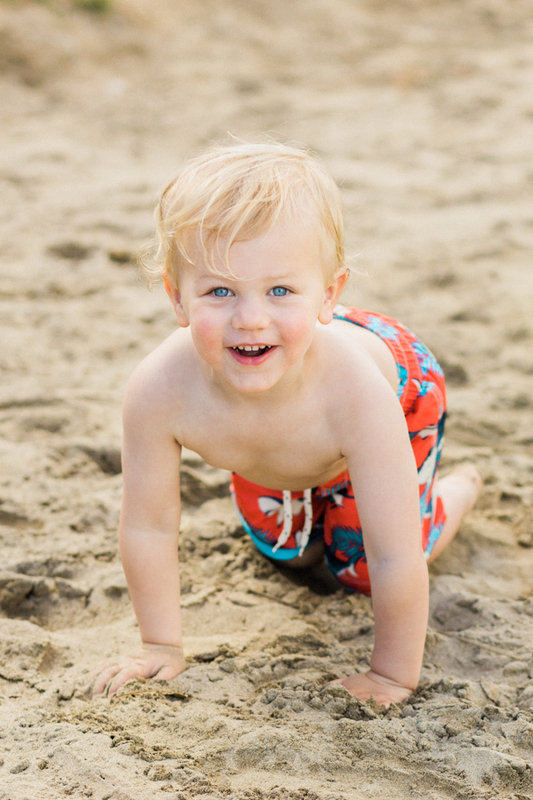 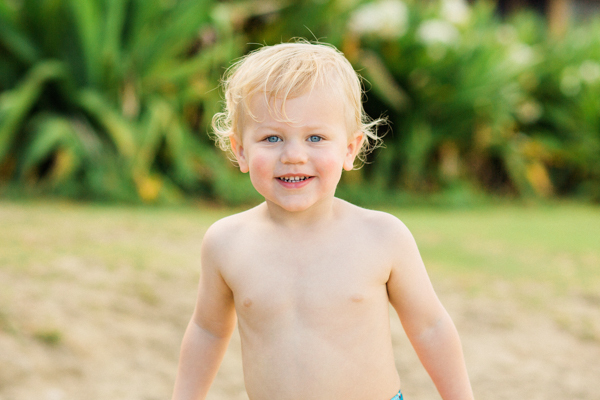 Will's shorts, striped t-shirt, and shark-print swim trunks are all from GAP. 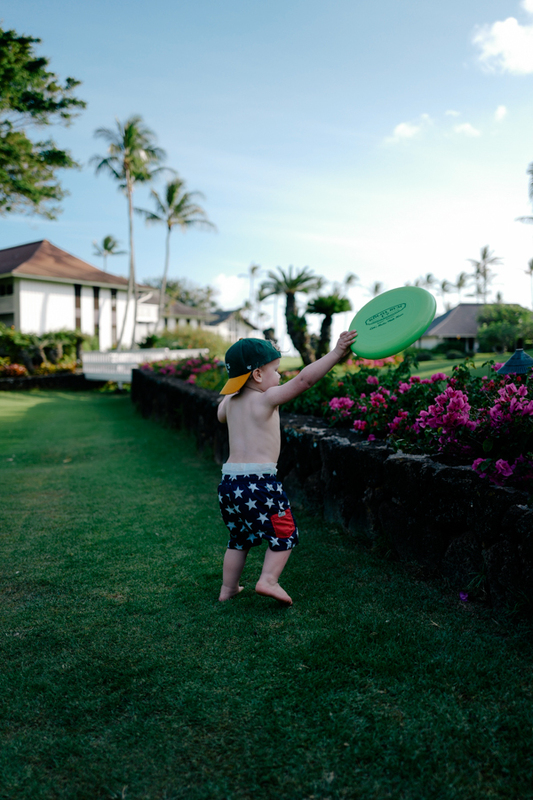 Nick doubts anyone cares about what he's wearing, but so as not to leave him out, he's got on Patagonia board shorts and a Lululemon t-shirt (because he loves Lululemon). 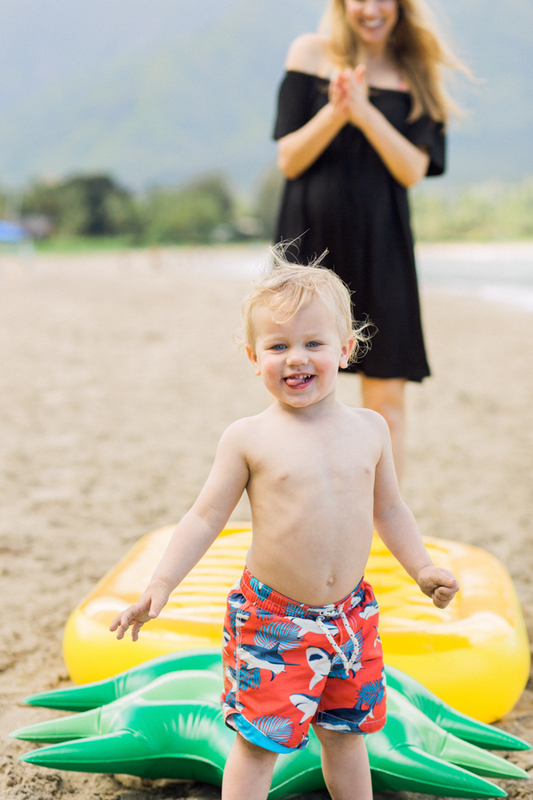 And here's where we found our amazing pineapple float! 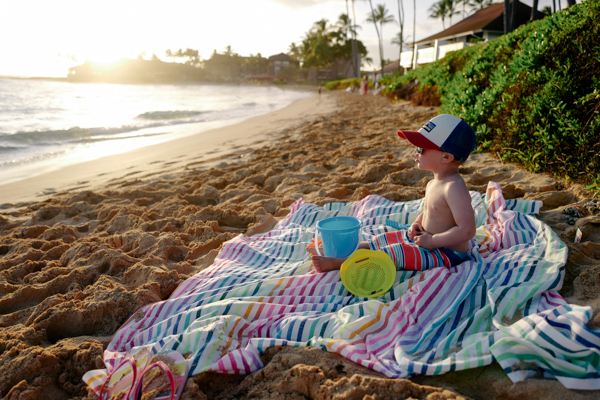 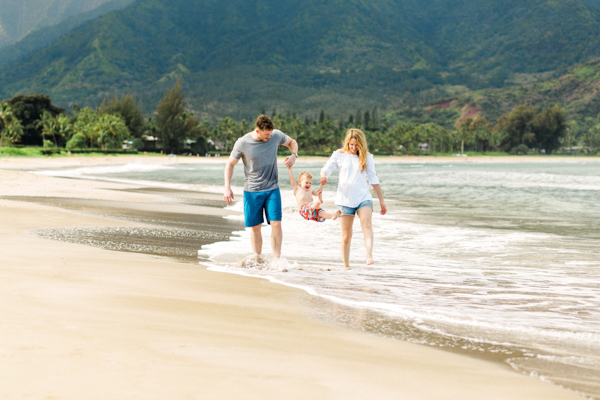 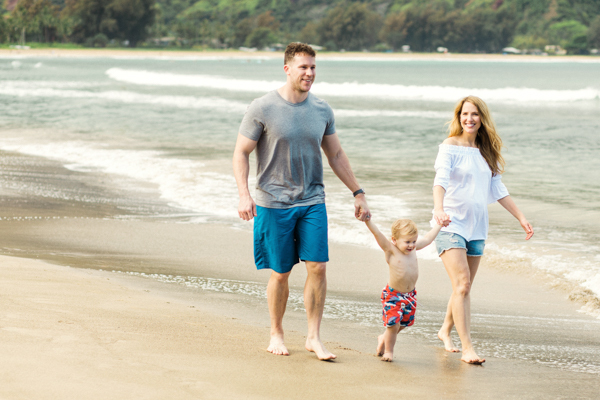 Here are more details on our stay in Kauai's north shore and south shore.